Our company is one of the leading manufacturer and supplier of Filter Mesh. We use premium quality of raw material in the manufacturing of our products. Our product helps in removing foreign particles from air as well as water. Our product is manufactured in wide range and shape. We can manufactures custom miniature mesh parts that are used in Powder coating machines, miniature valves, condensers, and electronic assemblies. We specialize in the design and manufacture of custom wire cloth and mesh, and offer fabrication, stamping and finishing services to provide production-ready miniature wire cloth elements. Soft sintered, annealed and diffusion bonded cloth are available for applications that require precise shaping, flexibility during processing and part stability. Custom weaves and mesh can be designed to meet your specific requirements. 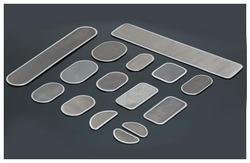 Materials available include 304ss, 309ss, and other alloys. Our products are manufactured to the highest quality standards. We are available to help you design a micro mesh filter for your application, and manufacture it within your budget and production deadlines. Our range of pharmaceutical Test Sieves is made of superior quality sieves that guarantees for consistency, fit and function from one end of the sieve to the other. 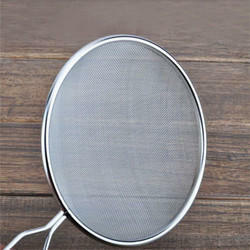 This test sieve is used for various applications like grading of different type of soil, building materials to filter the unwanted particles. Multi mill screen are made out from SS 304 quality material. 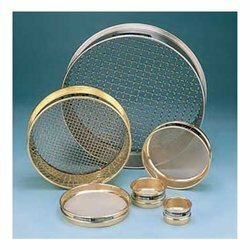 Looking for Custom Filter Micro Mesh ?